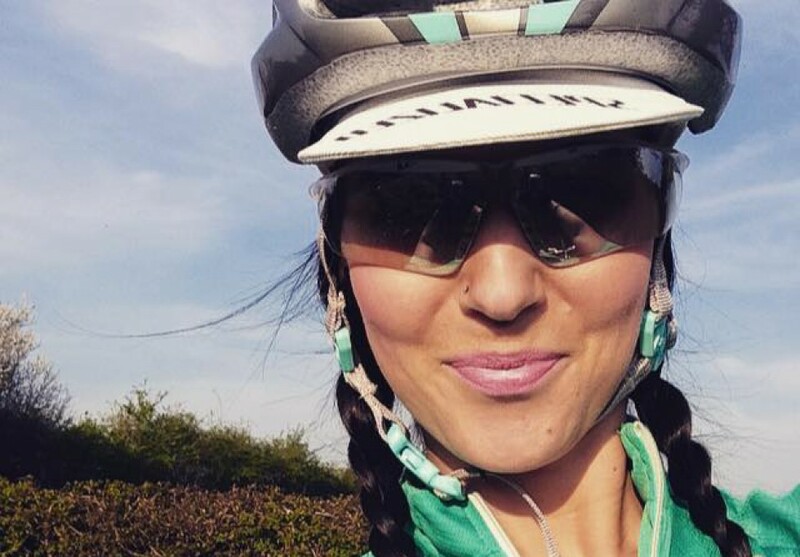 Sharing stories from my new found cycling life! Back to cycling regularly again and loving it! Thursday was a great day on the bike; the sky was clear blue yet again and with the entire day to ourselves, my partner decided that we’d drive a few miles out of Bristol, so that I could cycle a new route. We parked at Chew Valley Lake, kitted up, and from there began what would be a loop of about 65km. We were headed for Cheddar Gorge, and in doing so, I was headed for my first “official top 100 climbs”. I actually felt a quite nervous. The route out was a mix of country lanes and busy roads, and included some good warm up hills! We arrived in Cheddar and stopped briefly for a short rest, and a scone – obviously (we really are that English it would seem!) The climb was yet to come and I could feel the nerves in the pit of my stomach. Luckily, I wasn’t put off my scone. It starts steep – like thighs majorly burning steep – and I was worried. My back up plan was that I’d need to stop and take pictures – you know – for my blog, and this would provide me with some rest time, without actually having to admit that I needed rest time! The steepness only got worse, and just as another cyclist shot past me (show off), I buried my head and got my focus on. I’ve gotten into the habit of repeatedly counting to 20 on hills – it really helps me steady my breathing, and I guess in my mind, it divides the hill into sections; I focus just on getting to the next 20, rather than thinking about getting all the way to the top (and how far that is still to go!) I’ll often switch between counting to 20 in the saddle, and then to 20 out – again providing a different focus, this also incorporates different leg muscles, so it’s not all thighs thighs thighs! I wonder if counting is a widely used technique amongst cyclists…. or perhaps it’s just me? Quite a few 20’s in, & I was also trying to take in the sights; not an easy feat when you’re doing all you can to just…keep… pedalling! The views of Cheddar Gorge are pretty cool, and do go some way to contribute to it’s top 100 status. We did spot a wild goat, and some climbers, but for me, I mainly saw the grey road below – which despite being the road of a top 100 climb, isn’t that dissimilar to all other grey roads. As the counting continued, the level of struggle eventually started to decrease, much to my relief. The burning began to ease off and I was able to up my pace and drop a gear or two. Fearing for another steep section I kept it steady but to my absolute delight, the steepest bit had been conquered! It’s a fairly gradual climb to the top once that section is over and I actually couldn’t believe it when I looked around and realised I had done it! And without stopping! This is part of the reason I have fallen in love with cycling; you can pop out on a random Thursday afternoon, and do and achieve something new. Each ride can be it’s own new experience and this makes it such a satisfying hobbie, form of fitness, and lifestyle. I would definitely recommend the Cheddar hill for riders like myself – still a work in progress! It’s a confidence builder; the steepest bit is at the bottom, which is challenging, but then it gradually gets easier as you go, meaning you can finish at quite a good pace as it levels out at the top. Next Post It Doesn’t Get Easier, The Hills Just Get Steeper! This is why I ride in the Cascade mountains near me. I love the views, the down hills, and YEP every trip gives me a chance to stop and take pictures, for the blog! Haha it’s the perfect excuse! AND I will tell you I have never regretted stopping and taking a photo, but there are many times I look back and wished I would’ve stopped and done so! Yes I often think I need to take more – I may work on this! Needing to take moer picut could even be the subject of a blog post…. Having done this climb for the first time recently, I definitely agree that it’s a confidence booster – just the right amount of challenge for someone starting out… I came away buzzing. Awe thanks! I’ll definitely keep a check on your posts yes! Lone riding, a near collision with Tom Dumoulin, & big plans in search of small mountains in Tenerife. . .
Big Ben to the Arc de Triomphe: Challenge complete! From Big Ben to the Arc de Triomphe; Cycling London to Paris, Part 1 . . .
London to Paris… on 2 wheels… Here I Come!